The book title pretty much says it all. 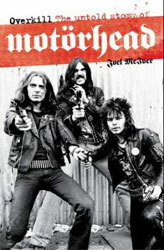 Indeed, the 238 pages of the pocket version take a close look at MOTÖRHEAD and according to the introduction “Overkill: The Untold Story Of Motörhead” fills an important gap since Lemmy’s “White Line Fever” was all about him while this book tells the story of the band. I am sure you have come across all those DIY books that describe from a simple task to an entire profession in an attempt to pass the experience of an already successful person to anyone interested. Until now, I hadn’t seen anything music-related DIY book apart from the usual learn to play the X music instrument. 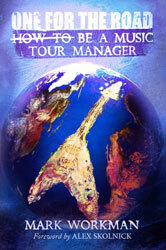 So, having “One For The Road: How To Be A Music Tour Manager” in an arm’s reach was definitely intriguing.